CEED 2019 Result has been declared on 4th March 2019. Common Entrance Exam for Design (CEED 2019) is organized by the Indian Institute of Technology, Bombay. It is a national level entrance exam of design course which is conducted on behalf of Ministry of Human Resource Development (MHRD), Government of India. The exam is a gateway to get admission in M.Des and Ph.D design courses. After qualifying the exam, candidates can get admission in IISc Bangalore, IIT Bombay, IIT Guwahati, IIT Hyderabad, IIT Kanpur and many other institutions. For more details on CEED 2019, candidates must go through this article. CEED 2019 Result (Score Card) has been released on 4th March 2019.Check here for result details. CEED 2019 Final Answer Key has been released on 4th February 2019.Check here for answer sheet details. CEED 2019 Candidates Answer Sheet has been released on 31st January 2019. The CEED 2019 result has be declared through the online mode. The CEED 2019 score card can also be generated at the time of declaration of the result. However, the result and score card can be downloaded on 4th March 2019. The authority has released the CEED answer key for the convenience of the candidates. It has been released on 25th January 2019. Marks obtained in Part A of the examination will be considered for the short listing of the candidates. CEED qualified candidates list will be shared with the participating institutions. No centralized counselling will be conducted by the exam authority for allotting the seats. After the declaration of result, candidates have to apply to the respective institution website for further admission procedure. Each institution will release the notification of admission in their websites. The authority has been published the draft answer key. CEED answer key can be checked through online mode. Candidates can check it on 25th January 2019. With the help of answer key the candidates to check their answers and examine their marks secured in the online entrance examination. CEED 2019 Admit card is available for downloading from 1st January 2019 to 19th January 2019. Candidates are advised to take a clear printout (in color) of the admit card to sit in the examination hall. Question: From where I can get the CEED 2019 application form? Answer: The application form has been released through online mode in the registration portal of the official website. Question: Is there any exemption in application fee for reserve categories? Answer: Yes. The application fee for SC/ST/PwD candidates is Rs. 1300/-. Question: What are the documents which needs to be uploaded at the time of registration? Answer: The documents to be uploaded at the time of registration are given in this article above. Question: I have done my B.Tech in 5 years (with arrear). So, am I eligible to apply for this exam? Question: What is the age limit to appear in CEED exam? Answer: There is no age limit to apply in CEED entrance exam. Answer: CEED 2019 will be conducted through online mode. Question: What is the marking scheme for exam? Answer: The negative marking is only in Part A of section V of exam. CEED 2019 eligibility criteria has been released officially. Details of each programme can be obtained from the websites of the respective institutions. Qualifying Exam: Candidates must have passed a degree/diploma/post graduate degree of 4 years or 3+2 years (after 10+2 level). Appearing Candidate: Appearing for the final examination of such a program by July 2019, or must have passed the GD Arts diploma programme (10+5 level) by July 2018 is eligible to apply. Age Limit: There is no age limit to appear for CEED 2019. Attempt Limit: Candidate can appear for CEED any number of times. Validity of CEED Score Card: The CEED score will be valid for a period of one year from the date of declaration of the result. GATE Score: Candidates those have GATE 2019 score card can also apply. Candidates must read the CEED information brochure to fill the application form. The application form must be submitted through online mode. The registration is started from 9th October 2018. Candidates have to fill the CEED application form 2019 before the last date of application form, i.e. 14th November 2018 without late fee. Candidates must fill all the details carefully and upload the document as per the prescribed format. Applications is accepted only after the payment of application form. Candidates have to select three exam centers at the time of registration. After submission of which no exam center change request will be accepted. The application fee is Rs. 1300/- for all women candidates, Rs. 1300/- for SC/ST/PwD candidates and Rs. 2600/- for all other candidates. The late fee is Rs. 500/-. It can be deposited through credit card, debit card and net-banking. The fee is non-refundable and non-transferable in any circumstances. The fee can be submitted through net banking/credit card/debit card. Recent colour photograph and scanned copy of signature (in .jpg file). Scanned copy of degree/diploma certificate (if the course is completed). If do not have the final degree certificate, upload the copy of the final year mark or the provisional certificate. If the course is not completed, a certificate from the Principal of the college/Head of the department. Candidates of SC/ST/OBC-NCL category have to produce valid category certificates issued by concerned authorities. Candidates belong to PwD category should produce a valid medical certificate. PwD candidate requiring extra time during the exam need to upload a request letter. Candidates those names is not same as the name on the degree/diploma certificate should produce a gazette notification, a marriage certificate or scanned pages of the passport showing the change of name. Mode: The exam will be conducted through online (CBT) mode. Answers of Part A have to be entered in the computer and that of Part B in the answer book provided by the invigilator. Duration: The total duration of the exam will be about 3 hours. 1 hours for part 1 and 2 hours for part 2. Maximum Marks: Part A carries a total of 100 marks. Sections: It contains 5 sections. Part B: Part B carries a total of 100 marks. It contains 8 questions. Candidates have to choose to answer any ONE of Questions 1, 2, 3, 4 and 5. Questions 6, 7 and 8 are mandatory. Each question must be answered on the pages designated for that question. For CEED 2019 aptitude test, candidates may practice their drawing, rendering and visualization skills. Visualization and spatial ability: Pictorial and diagrammatic questions to test the understanding of transformation and / or manipulation of 2D shapes and 3D objects and their spatial relationships. Environmental and social awareness: General awareness of environmental factors such as climate, population, water, vegetation, pollution, weather, natural resources etc., and their implications on the design of products, images, infrastructure and environment. Awareness of design terminologies, social and cultural connection with design, history of the designed artifact, and socially responsible and environmentally sustainable design responses. History of art, sculpture and literature. Language and creativity: Ability to understand passages in commonly used English language. Ability to think creatively in terms of alternatives, ability to distinguish innovative options and think out of the box. Design thinking and problem solving: Ability to understand the context, the users and the constraints and select the most appropriate solution for a given design problem. Observation and design sensitivity: Ability to detect concealed properties in day to day life and think critically about them. Ability to discern subtle differences in visual properties and aesthetic outcomes. Ahmedabad, Bengaluru, Bhopal, Bhubaneswar, Chandigarh, Chennai, Delhi, Guwahati, Hyderabad, Jaipur, Kolkata, Lucknow, Mumbai, Nagpur, Patna, Pune, Raipur, Thiruvananthapuram, Trissur, and Vishakhapatnam. If you have any other queries about CEED 2019, you can write your queries in the comment box given below. My daughter passed 10+2 & Completed 3 years Diploma in Textile Technology. Is she eligible for CEED 2019? I have to write final year fine arts exam in March 2019. Can u write Creed. From where i can get the previous year question papers? Sir,I am a Bangladeshi student.Sir,can I get admission in IIT for B.tech?? please sir reply…. You can fill our inquiry form to get latest updates of CEED 2019. I am completing my 6th Semester by July 2019. Want to appear in the exam so that I may know my readiness for next year. How can I make an attempt ? 1st, I need to know if 3 year course is accepted for appearing..
2nd, as am doing my final year now by which i will be completing my graduation on 2019 may…am I eligible for the masters exam..? The eligibility criteria to appear in the exam is given in the article. You just go through it. My daughter has passed 3 years Diploma in Textile Technology. She also passed 10+2. is she eligible to seat CEED. How can I apply for Mdes admission in IITs through GATE exam?? I have currently completed UG and not yet received the degree certificate as well as the provisional certificate.But institute has provided a course completion certificate(cc). Is the cc certificate is enough for applying.if not what document should i submit. 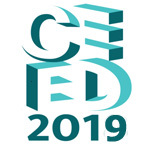 Wait till the CEED 2019 information brochure is released for this year. I am a Pearl Academy graduate (degree not recognised by AICTE) and I have been told that I am not eligible to appear for CEED, but however CEED revises its eligibility criteria every year. So has any criteria changed? Can I be eligible? It is not declared yet. We will update in our article when it will be released. Is computer science students for CEED exam..
Sir,I have completed mtech,after 10th, diploma and btech,m I eligible? I’m in B.E. and it says if the course is not completed then a certificate from the Principal or Head of Department is required. What kind of certificate am I looking for? And what needs to be mentioned in the certificate? I have studied Bsc Biotechnology, Three year degree after 10 +2. does that make me eligible for applying for IDC Animation program through CEED 2019? I have done diploma (3yrs) after 10th instead I have not done10+2 and completed my b.tech (3yrs). Am I eligible to appear in the CEED exam? I’m pursuing B.tech final year in Computer Science Engineering. May I eligible to CEED exam or I should do any other degree based on designing. i am currently in 5th year of b.arch. my course will end up in april. can i apply for ceed ? You can apply only in your last semester. Have done B.com (P) from SOL, DU. Is the candidate eligible? I have diploma equivalent certificate for 12th. Can I apply for CEED?? I have completed my graduation on Economics Hons. in July 2018. Am I eligible for CEED 2019? part A scores will only be considered to shortlist the students for part B evaluation or it will it have 25% weightage also? i have done my b.e in electronics can i apply for CEED? I have done HSC in science ( 2 years) and then did my B.DES in Product design ( 3 years ) am I eligible? What does this mean ? I’m a engineering under graduate , so should i do anything else to write the exam ? No, You can apply as UG candidate. I am B.tech student passed out in 2016.Am i eligible? I am a bsc graduate 3 yrs course. Can I apply? I am a BBA graduate (3yr degree course). Am I eligible? I have a degree and a diploma for BSc in Multimedia of 3 year couse for the same time period, am I eligible for the exam? Can mechanical engineers write ceed exam? what is the approx cut off of the exam?? or the minimum marks required to enter in good college? You can appear after graduation. I’m doing my engg, 4th yr is yet to start. I’ll be completing by may. My branch is information science. Am I eligible? I’m doing B.sc.Interior design and decor. Am I eligible for Ceed examination ? Hello, I have completed my Bachelors in Fine Arts (Painting)- 4 year programme, from Karnataka Chitrakala Parishath. I would like to apply for the examination CEED, am I eligible please guide. I am currently doing my Btech(4RTH YEAR WILL BEGIN THIS JULY. I will complete the course next MAY. CAN I WRITE CEED 2019? I have completed my b.tech in mechanical engineering. Can i apply for CEED. EXAM? Can I apply for CEED?